On June 8, 1906, French stage and film actress Sarah Bernhardt appeared at Foot Guard Hall in Hartford. She performed the part of Marguerite Gautier in the play La Dame aux Camelias by Alexander Dumas and presented by Shubert and Connor. 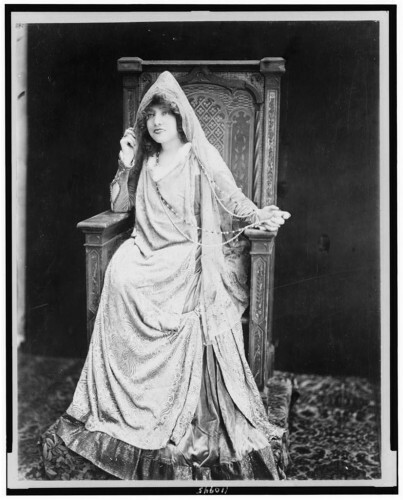 Bernhardt chose the role of Marguerite Gautier for her American debut in 1880, and she continued to play her until 1914. “Playbill - Messrs. Shubert and Connor Present Mme. Sarah Bernhardt in ‘La Dame Aux Camelias’ ... by Alexander Dumas, Fils - Playbill,” 1906. Connecticut Historical Society. Link.